Naturally, I'm dying to paint a piece of furniture in a pale shade of blue, but I'm still getting the hang of things. Plus I have a bucketload of white paint to use up before I can start experimenting with colours. 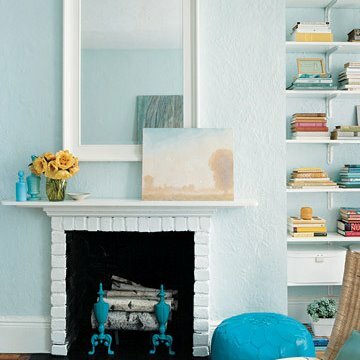 Here are some of my favourite interior photos showing some super easy ways to add pops of blue to your home. Painting a couple of industrial looking metal chairs bright turquoise will add just the right amount of colour to a fairly neutral space. Can't go wrong upholstering a lovely settee or an antique chair in a beautiful fabric. 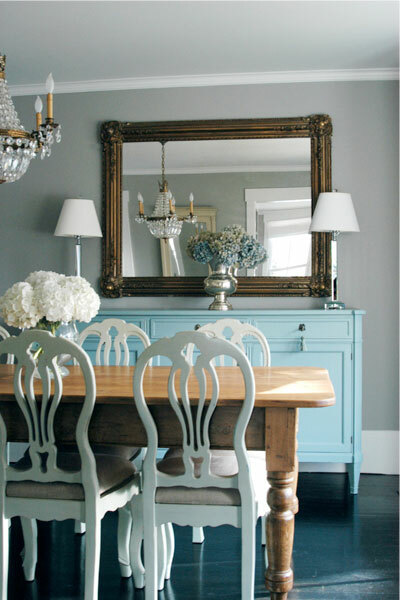 Why not try painting something unexpected in your favourite colour? 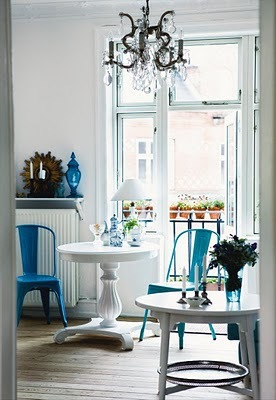 Display a collection of azure coloured glass in a bright, sunny spot. 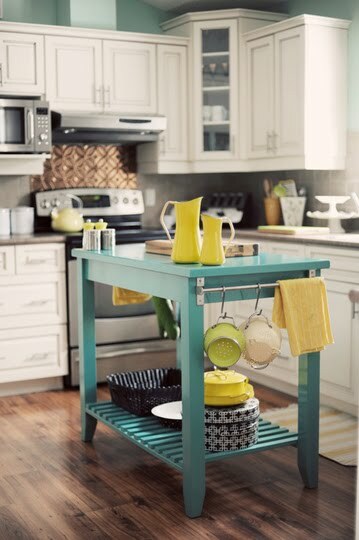 This tiffany blue island bench cheers up a crisp, creamy white kitchen. 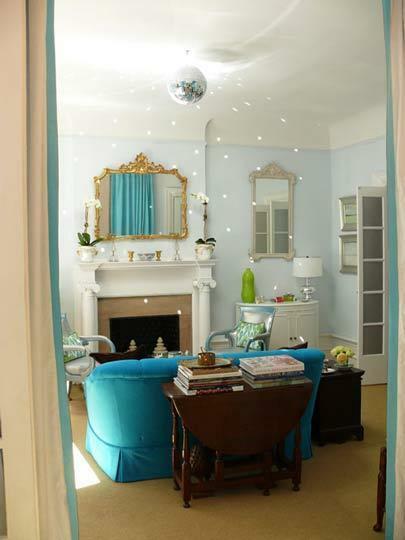 This sunny reading nook would be boring without this stunning pastel blue chandelier and matching library. This is my favourite idea of all for adding that much needed punch of colour. 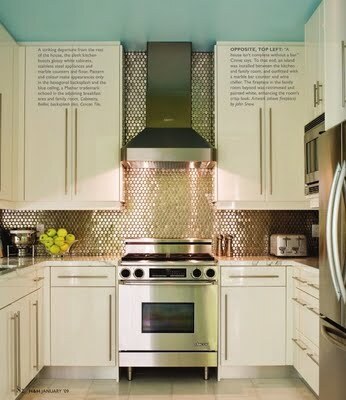 How cool is this totally unexpected painted ceiling? LOVE!